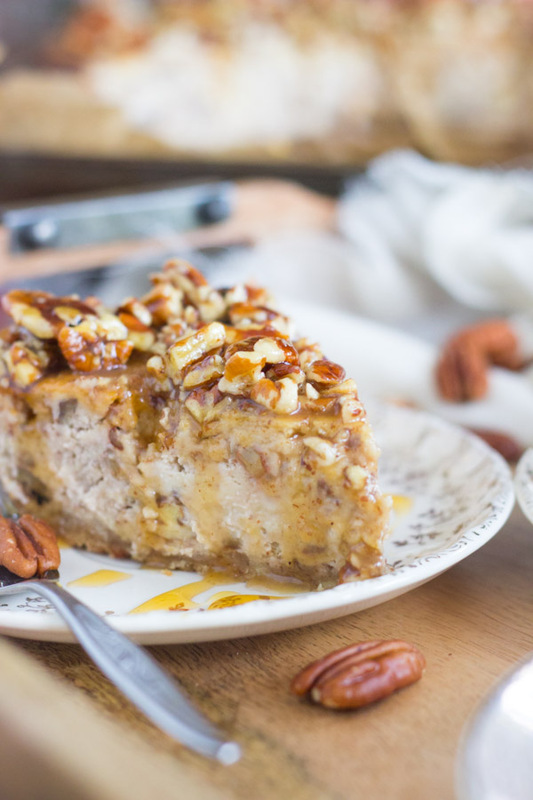 A rich cheesecake with a pecan shortbread crust, and topped with a glorious honey-pecan sauce. 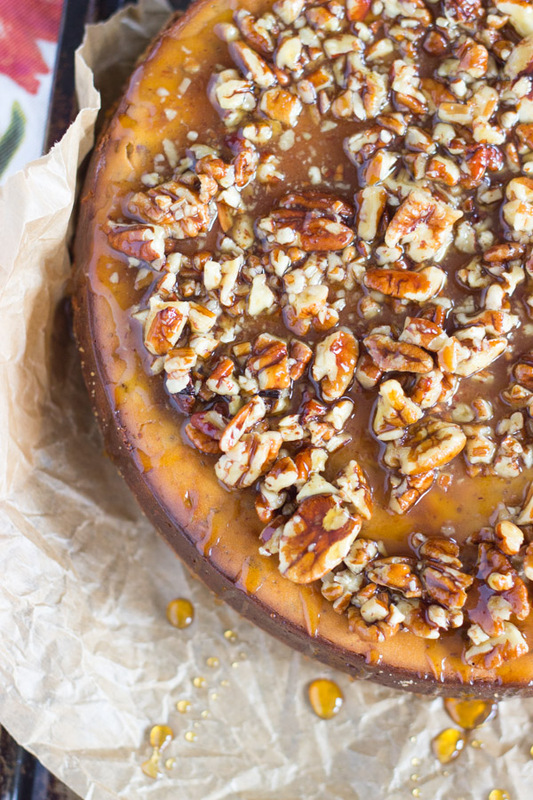 This Honey Pecan Cheesecake with Pecan Shortbread Crust is to-die-for! 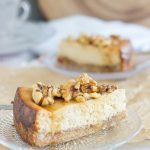 I’ve wanted to share this Honey Pecan Cheesecake for two years now, but it kept getting away from me. I’m excited to finally get it on the blog this year. There’s something about honey and pecans together that’s always intriguing to me. Honey and pecans are like the sister pairing to maple and walnuts, another pair that I love, but is much more mainstream and frequently used. I have these Maple Walnut Spritz Cookies, for example, and this Maple Walnut Fudge. Honey and pecans don’t get enough attention though, until now! I don’t see enough honey & pecan recipes. 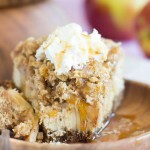 Here is a good one that you need to hang onto, and it’s a great recipe for fall. Toasted pecans drenched in sweet, golden honey are a luxury in and of themselves. The honey-pecan sauce on top is something you could throw on an ice cream sundae, or a pecan blondie, and it would elevate it dramatically. That’s what it does for this Honey Pecan Cheesecake! 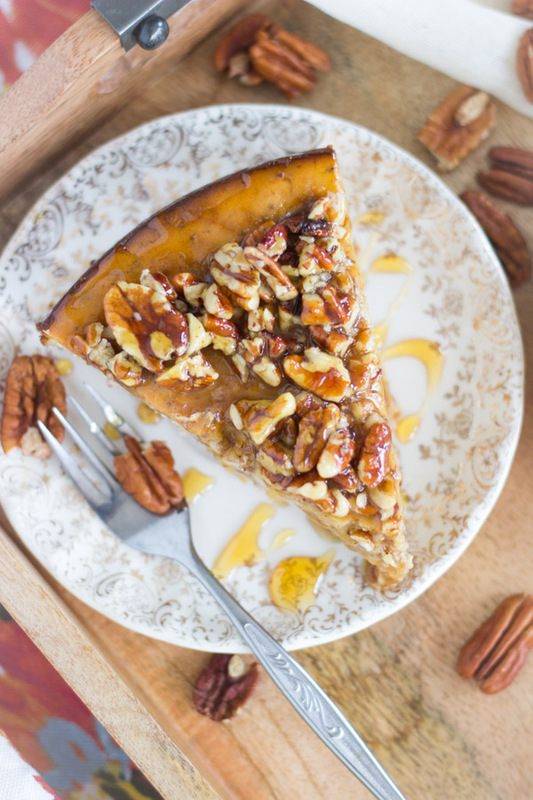 There’s pecans in every layer – from the crust, to the cheesecake, to the topping. And the crust is my very favorite. I’ve used a lot of different crusts for cheesecakes, including crushed pretzels, oatmeal cookies, Oreos, gingersnaps, Nutter Butters, brownies, blondies, and even cinnamon rolls!!! You name it, I’ve probably done it. 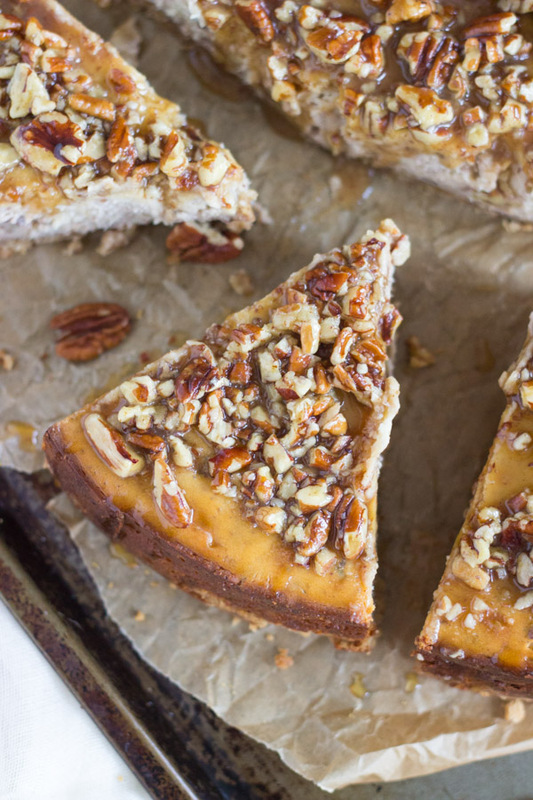 But my #1 go-to crust will always be a pecan-shortbread crust. Fine crumbs of buttery shortbread cookies with a big helping of finely ground pecans mixed in. Plus, butter and sugar, obvi. That is my ‘old faithful’ crust. 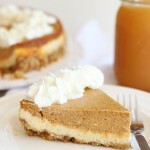 It complements almost everything, and it’s much more flavorful than a graham cracker crust, in my opinion. My favorite rich and creamy cheesecake filling is also an ‘old faithful.’ I loaded up the batter with pecans and brown sugar. 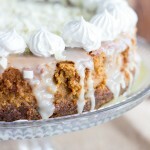 The warm honey-pecan sauce spooned on top really soaks right into every bite. Also, look how it glistens! 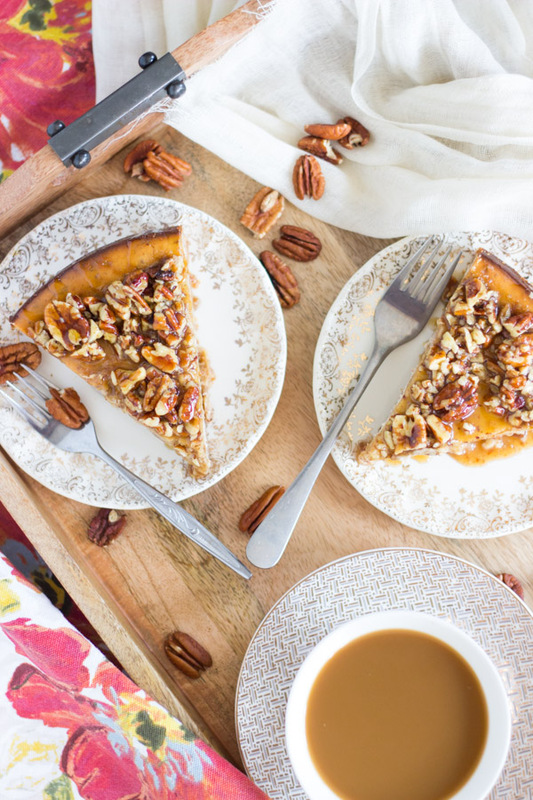 This Honey Pecan Cheesecake is a must-try recipe this fall! 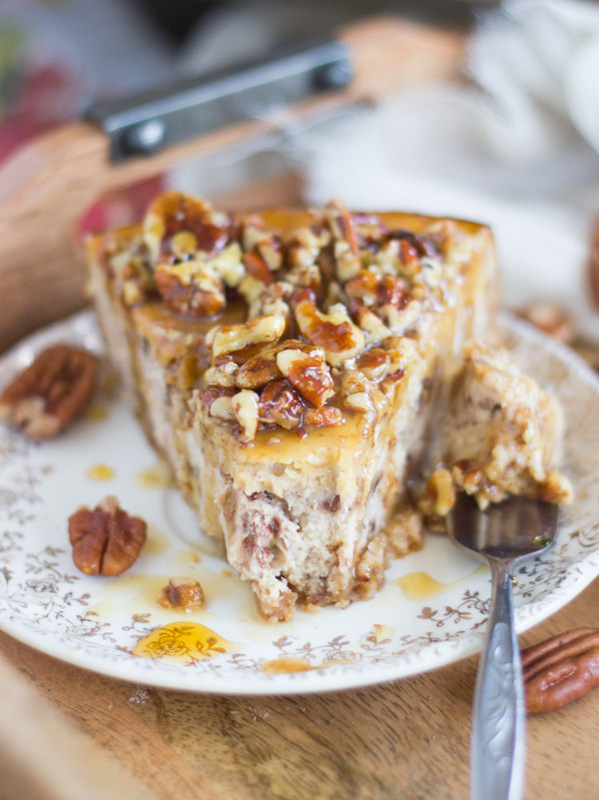 Pecan pie built into a rich cheesecake with a pecan shortbread crust! 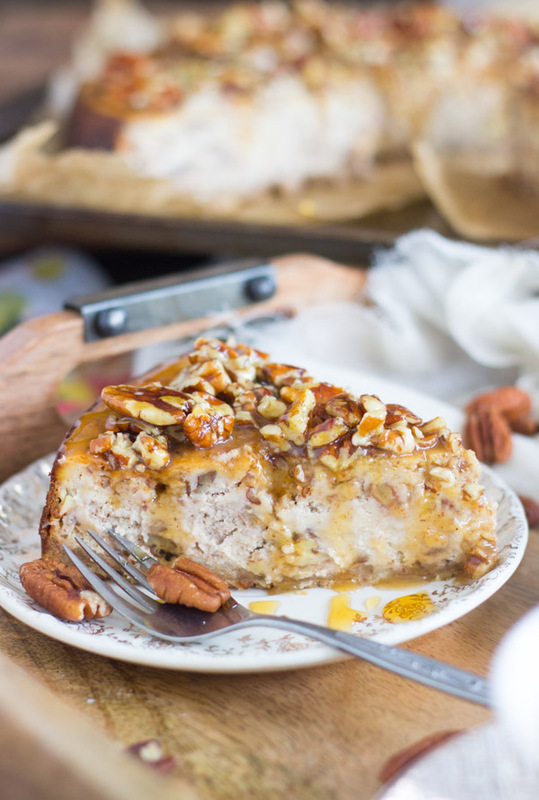 It's topped with a glorious honey-pecan sauce! In a small bowl, combine pecan sandie cookie crumbs, ground pecans, sugar, and butter. Add vanilla, beating until combined. Bake at 350 degrees for 45-55 minutes, or until the edges are golden, and the center is still slightly jiggly, but almost set. In a small bowl, whisk together honey and melted butter. Stir in pecans, tossing to coat. Spoon over cooled cheesecake. Cut and serve. 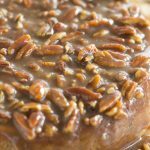 Pecans are (by far) my favorite nut, and I totally agree — the pecan-honey combo is totally underrated. Another gorgeous cheesecake, friend! Thank you!! You too!! I can’t wait to see your Weekend Recap – I bet you are getting all sorts of gorgeous fall foliage up there!! Have a great weekend! 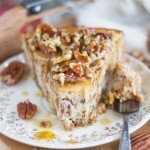 Three of my favorite things – cheesecake, pecans and honey!! Thanks for sharing on the What’s for Dinner Link up! Oh my goodness does this look fabulous!! I must make this very soon!! Thanks for sharing at the Family Joy Blog Link Party this week!! Wow, that cheesecake looks amazing. Pinning this and making for Thanksgiving.